Buies Creek Fire would like to thank our neighbor #Camels for their support for our department! 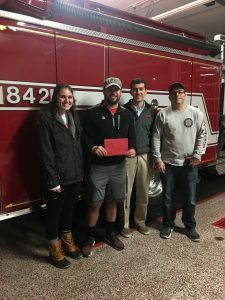 Residents from Faculty Commons are pictured with Assistant Chief Sorrell presenting a generous donation of cookies and cards! We thank y’all for your generosity!